Mike Church is a Los Angeles private detective who specialises in finding missing persons. He takes on the case of a mystery woman who he calls Grace. She is suffering from amnesia and have no memories of her own. She keeps having nightmares involving the murder of a pianist Margaret, by her husband Roman Strauss in the late 1940's. In an attempt to solve the mystery about these nightmares, Church seeks the help of Madson who is an antiques dealer with the gift of hypnosis. The hypnosis sessions will soon begin to reveal some surprises. In 1949 composer Roman Strauss is executed for the vicious murder of his wife Margaret with a pair of scissors. In 1990s Los Angeles a mute amnesiac woman shows up at an orphanage and private eye Mike Church is called in to investigate. Under hypnosis both the woman and Church seem to have a strange link back to the Strauss murder. 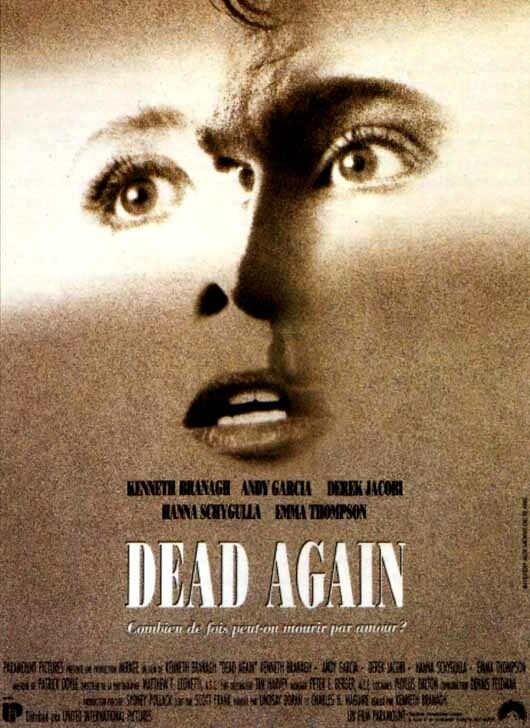 A superb suspense/thrille Dead again is a movie about a woman with amnesia who slowly reveals her past when she is put under hypnosis.Her past life is revealed until some point when the person she is entrusted to pops up in the revelation.The entrustee is put under hypnosis and something he sees something shocking.From then on, the plot keeps on twisting by other discoveries and revelations until the end. 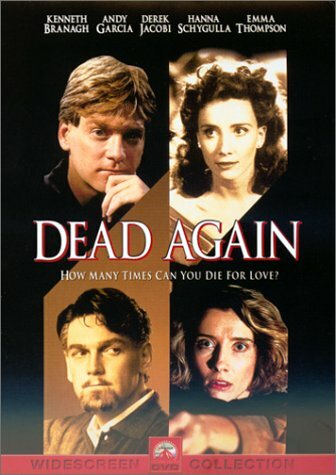 The pace starts slow, with most of it as a storytelling via hypnosis, and the buildup of the romantic relationship between Branagh/Thompson.In the midpoint where some things gets revealed, suspense picks up and one is put on the edge of their seat and guessing who did it and why until the end. The only caveat I had was the final way the character died is so over the top, that you don't breathe a sight of relief that you should have. But besides that issue, it is a movie definitely worth watching.